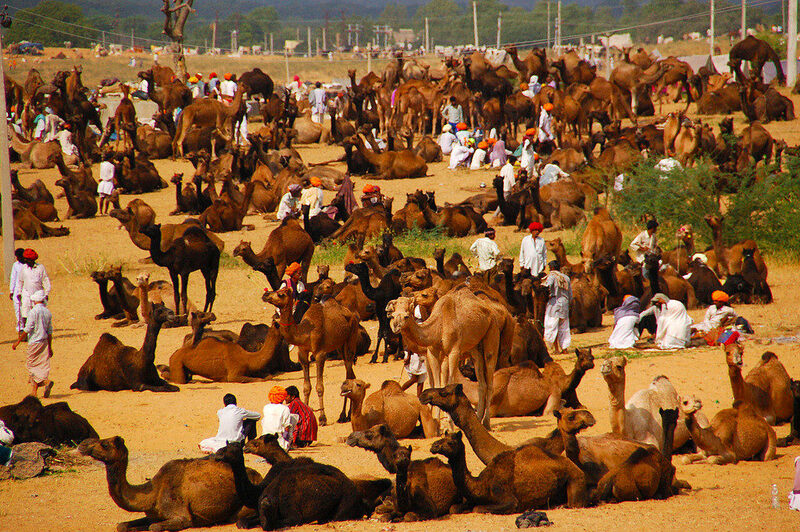 Camel Fair, Pushkar Travel Packages Pushkar is a sacred town for the Hindus, situated 11 kms. to the north-west of Ajmer. About 400 temples and shrines are located at Pushkar around its holy lake, which finds a mention in the Padma Purana. Legend has it that Lord Brahma in search for a spot to hold his ‘yagna’ (religious ritual), dropped the lotus from his hand, the three spots touched by this flower were turned into lakes. 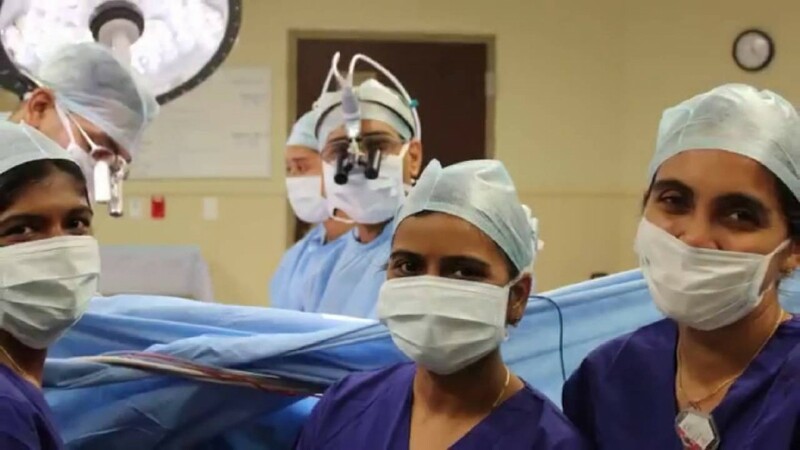 These are today known as the ‘Jyeshtha Pushkar’ (main Pushkar), the ‘Madhyam Pushkar’ (medium Pushkar) and the ‘Kanishtha Pushkar’ (little Pushkar). A temple dedicated to Lord Brahma is located at Pushkar; the other important temples are those of Gayatri, Savitri, Shiv and Badri Narayan. 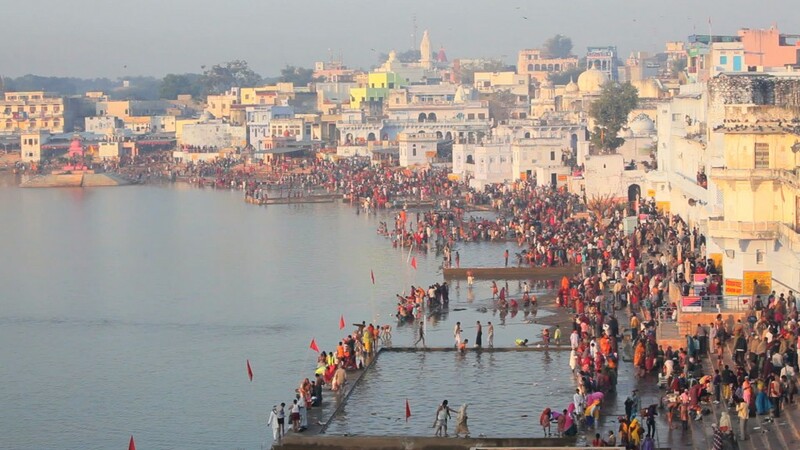 People consider the water of the Pushkar Lake to be very sacred and the ritual of taking dips in the holy water is believed to bestow salvation. The holy dip is most auspicious on Kartik Poornima. Even before sunrise, people descend the ghats, aided by the ‘pandas’ (Brahmin priests) to take the sacred bath. Offerings of coconut, flowers, and cash are made to the lake and the priests. 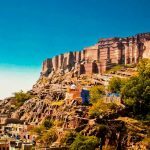 Most pilgrims perform the oblations at the Jyeshtha Pushkar while some opt to visit all the three Pushkar and this is called the Panch-Brahma Temple, Pushkar Vacation TravelsKosi-Parikrama. Many pilgrims visit all the shrines at Pushkar in seven days and this is called the Chaubis-Kosi-Parikrama. 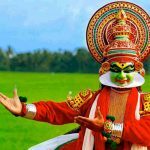 It is customary to float lighted earthen lamps after placing them on ‘pattals’ (plates made of leaves) on the waters of the lake. This creates a spectacular view in the evening when the sacred lake takes on a mystical tint sprinkled with twinkling spots of light. ‘Aarti’ is offered at the lake in the morning and evening. In conjunction with the religious fair, a cattle fair is also organised in the month of Kartik at Pushkar Cattle-breeders bring a large number of cattle of various popular breeds such as Nagauri, Haryanvi, Mewati, Kankrej etc. to the fair to be sold to the rural folk who appreciate well-bred animals. The cattle are decorated by their owners during Pushkar fair and also participate in the races and are paraded on the sand dunes. 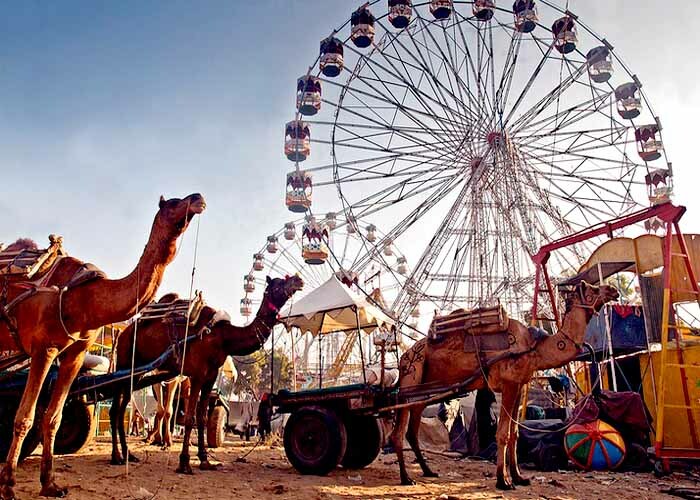 The ancient town of Pushkar is transformed into a spectacular fair ground in the month of Kartik. The fair attracts a great number of tourists from far and wide. The fair-grounds reverberate with festivity, as rows of make shift stalls display a bewildering array of items that compete with each other for the visitors’ attention. 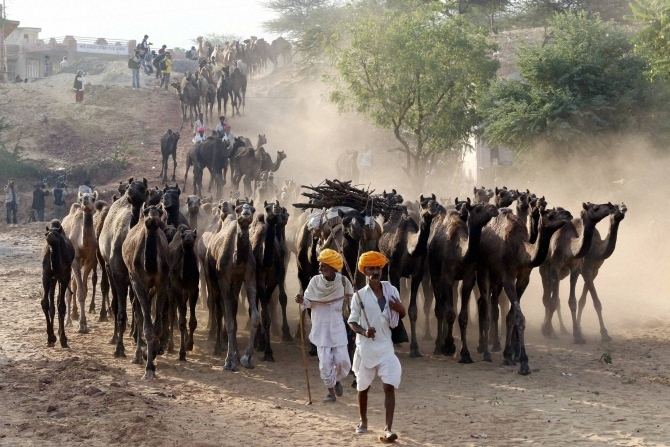 But the highlight of Pushkar Fair, Pushkar Travel & toursPushkar fair is the trading in camels. 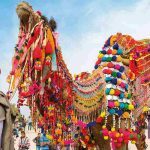 Camels are bought, sold, decked up and paraded on the sand dunes, presenting a picturesque sight. 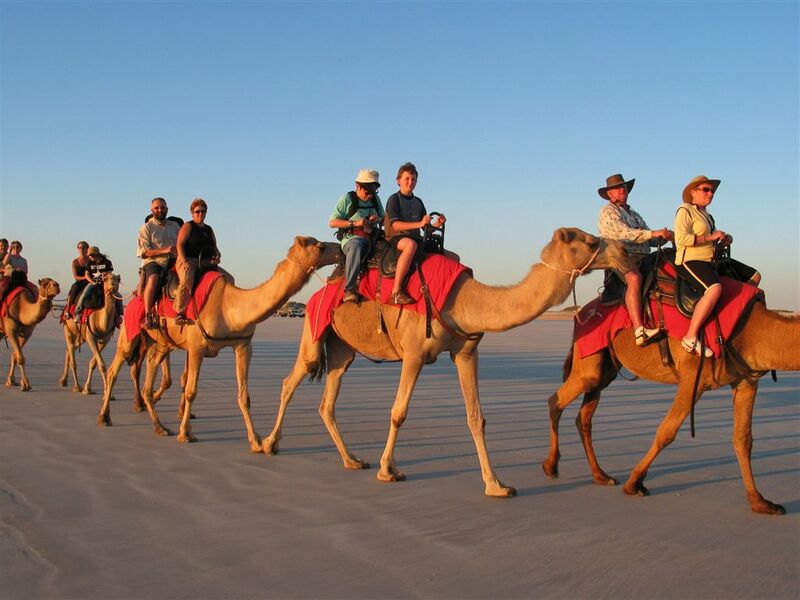 The camel, horse and donkey races are events that draw huge attendance. Body tattooing is yet Horse race. Pushkar another favorite activity that attracts a large number of enthusiasts. On this special occasion, the Rajasthan tourism Development Corporation (RTDC) puts up a tourist village. The tourist village is self-sufficient and specially designed to complement the natural beauty of the site. It has a Coffee Shop and Dining Hall, which can cater to 1500 guests at a time. The village is arranged in blocks of tents, each with its own identity, named after the famous dances of Rajasthan. The village also has huts with attached western style toilets and running water. 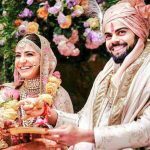 One can also stay at Sarovar Hotel, Pushkar or in Ajmer at the RTDC tourist Bungalow-Khadim. Pushkar Lake, Pushkar Holiday PackagesThe Pushkar Lake is surrounded by 52 flights of steps, called ‘ghats’, many having special legendary importance. Lord Vishnu is said to have appeared at the Varah Ghat in the form of a boar. Brahma took a bath here and performed Yajna at the Brahma Ghat, accompanied by Vishnu and Mahadev. 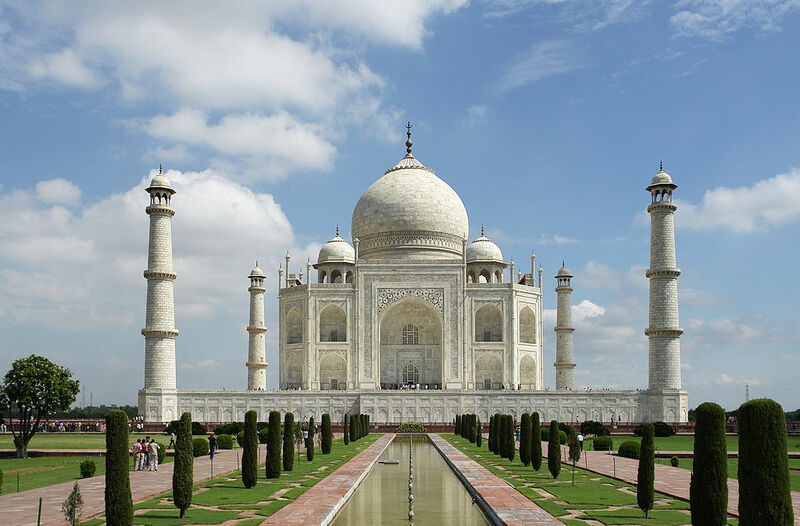 Guru Govind Singh chose this site for reciting the sacred Guru Granth Sahib. The ashes of Mahatma Gandhi were immersed at the Gandhi Ghat, which was previously called Gau Ghat. By Air : Jaipur at 146-km is the nearest airport. By Rail : Ajmer at 11-km is the nearest railhead from Pushkar. By Road : Pushkar is well connected by road and is 11-km from Ajmer. There is a steady flow of pilgrims throughout the year to Pushkar, which is among the five principal places of Hindu pilgrimage. 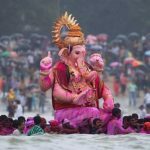 It is, however transformed into a bustling fair-ground in the month of Kartik (October-November) when the annual Pushkar Fair and a cattle fair are held simultaneously. The fair starts from Kartik Shukla Ekadashi and goes on for 12 days, till Kartik Purnima. Both the religious fair and the cattle fair are now internationally renowned tourist attractions. A small fair is held in the month of Baisakh, which is primarily a local event. Location 11km North-West of Ajmer, Rajasthan. Pushkar Lake, Brahma Temple, Cattle Fair.